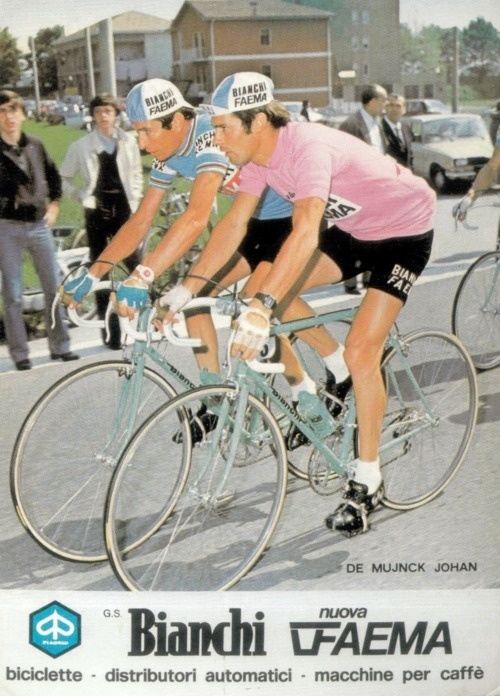 Happy birthday to Johan De Muynck, who was born on this day in 1948. 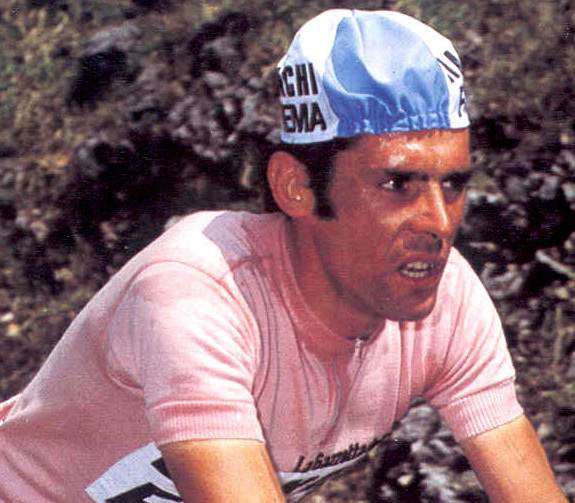 The Belgian rider is best known for standing on the podium of the Giro d’Italia on two occasions. 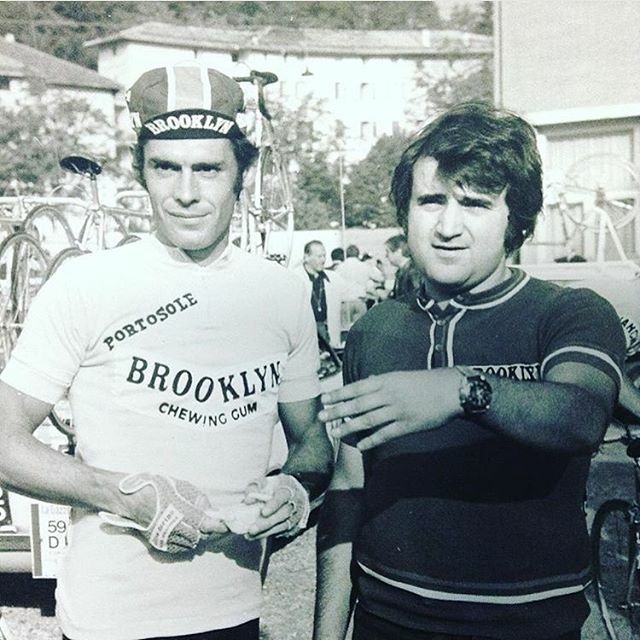 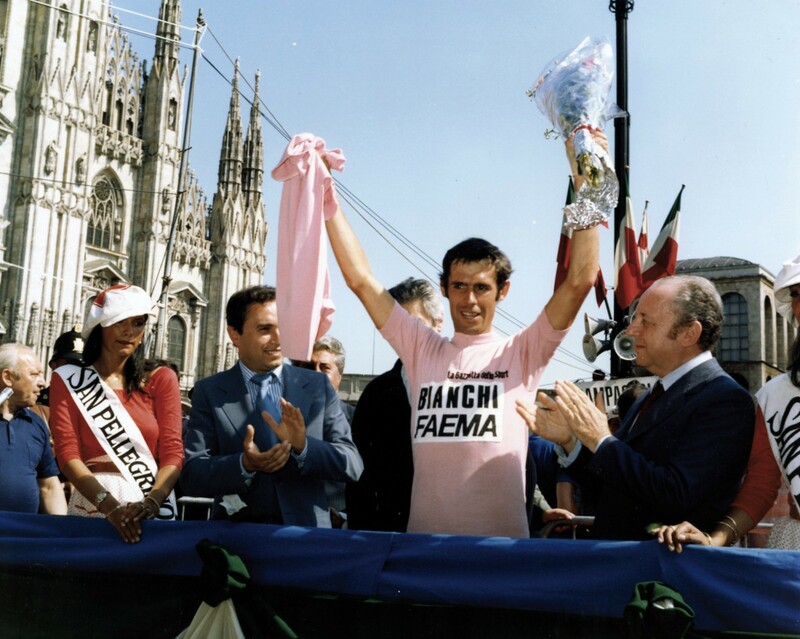 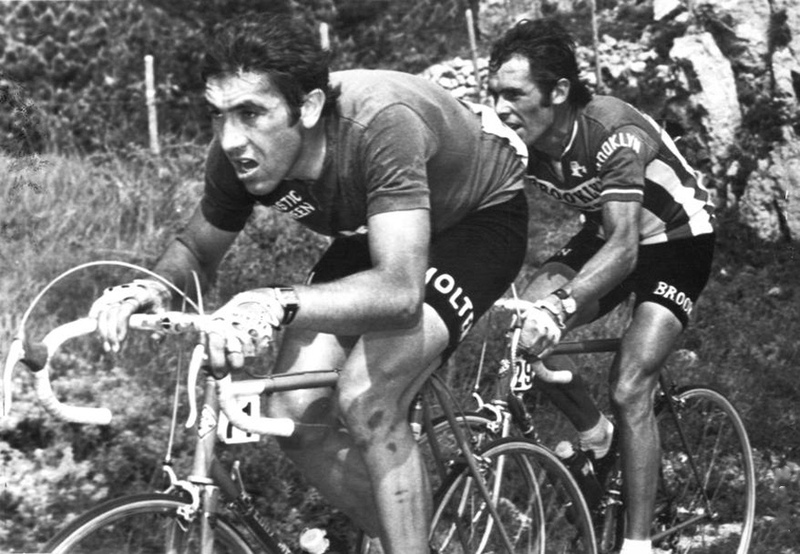 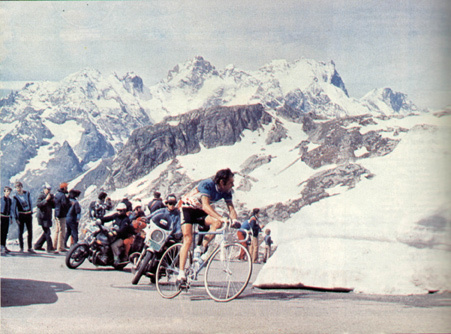 First, for finishing second in the 1976 race behind Felice Gimondi of Italy, followed by victory in 1978, after finishing ahead of Gianbattista Baronchelli and Francesco Moser, both of Italy. 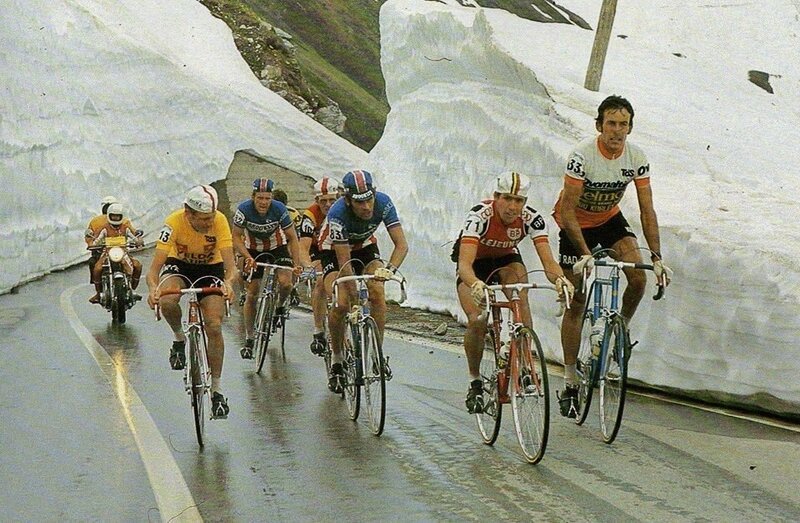 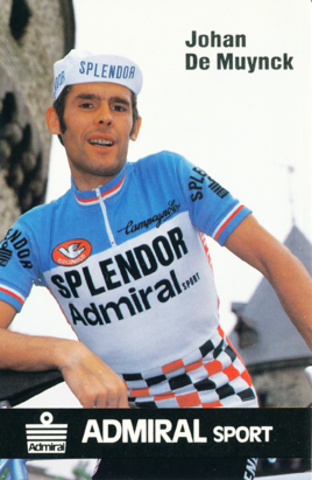 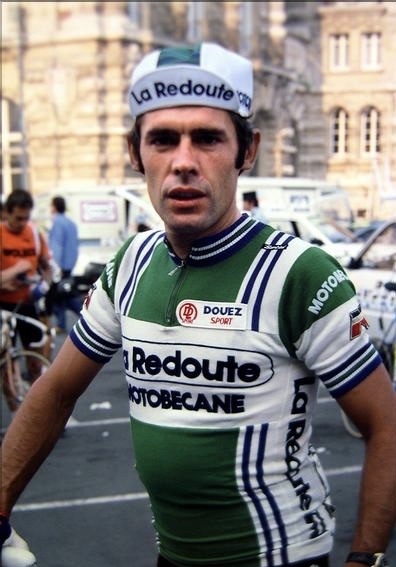 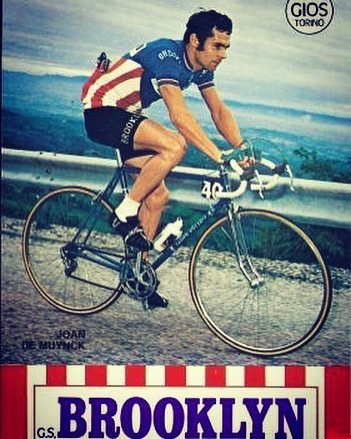 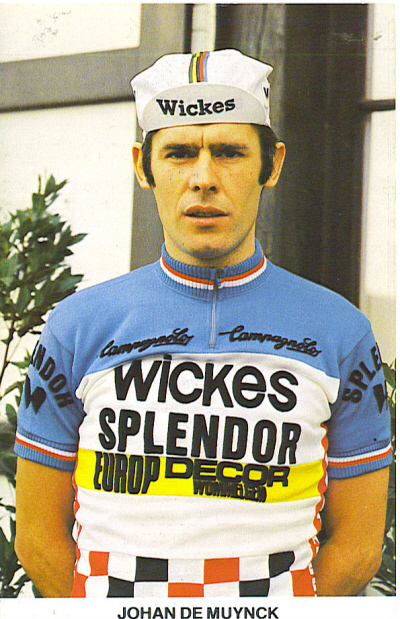 Prior to his Italian Grand Tour victory, De Muynck won stages in the Tour de Romandie, Volta a Catalunya and the Grand Prix du Midi Libre, to include winning the 1978 Brabantse Pijl spring classic. 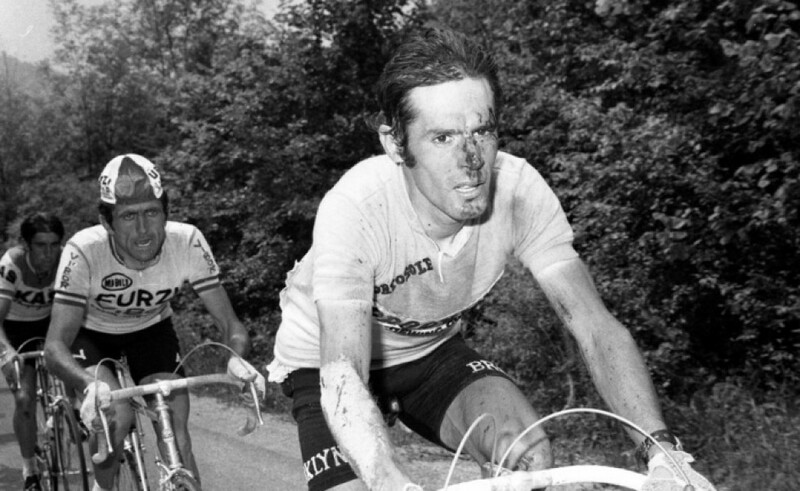 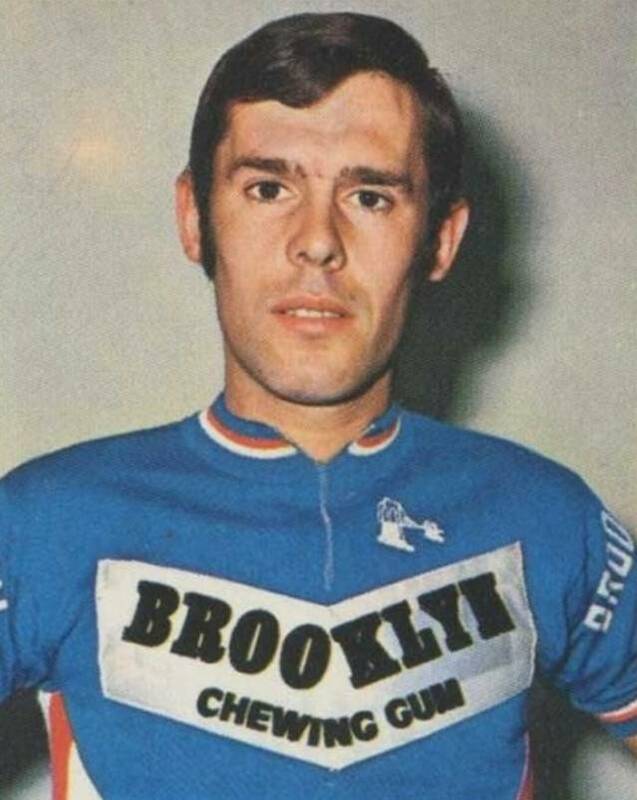 In addition, De Muynck won numerous lesser-known races throughout Belgium, Italy and Spain during his career, such as the Roeselare, Criterium, Haasdonk, Flèche Brabançonne, Harelbeke, Valdengo, Nandrin, Criterium Nandrin, Cantagrillo, Subida a Arrate, Ronse and Ruiselede. 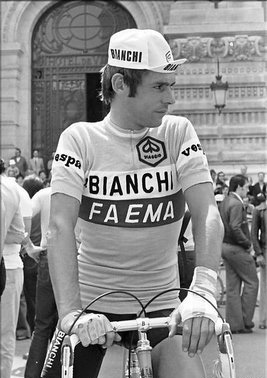 During his 12-year tenure as a pro, De Muynck rode for such well-know teams as Flandria-Mars, Flandria-Beaulieu, Flandria-Carpenter, Brooklyn, Bianchi-Faema, Splendor-Admiral, Splendor-Wickes and La Redoute-Motobécane. 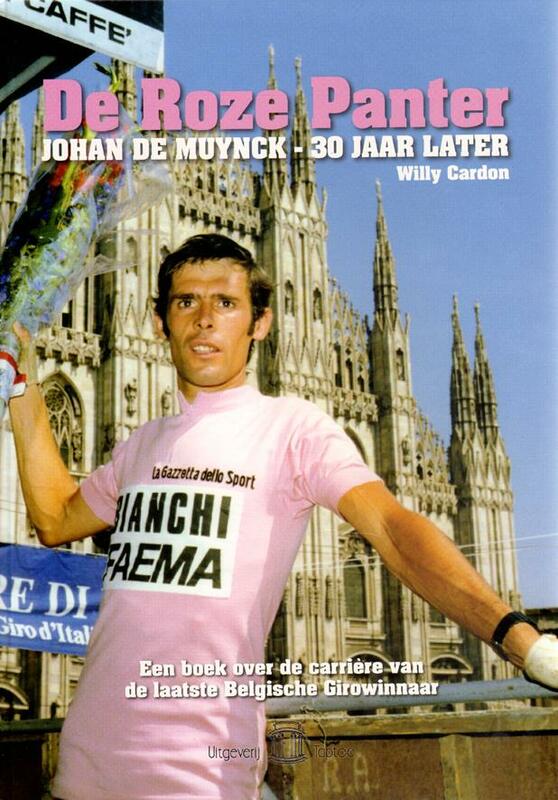 Upon his retirement, De Muynck returned to the area where he grew in Sleidinge, Belgium, often appearing as a race dignitary – especially during each year’s opening ceremony for the Giro d’Italia.